Thursday Activity has been a popular program of Rolling Korea. Due to positive feedback from students, we came up with new programs called, Social activities. Through our social activities students can meet another class mates in different class levels. Social programs are about meeting new people and team building. We go to a museum, palace, festival, club, baseball park and more since the launch of the program in July. Korea isn’t just famous for shopping and K-pop. It is a small country packed with gems. 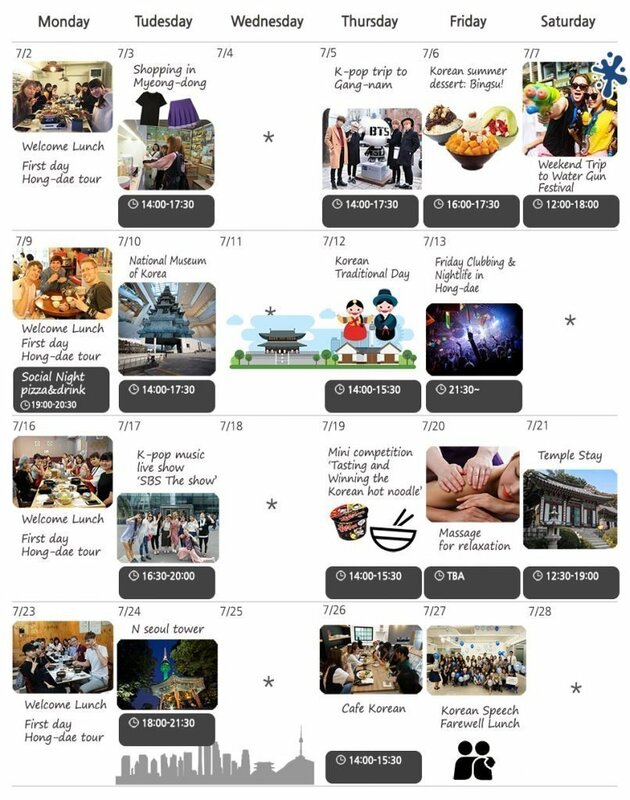 Through the program, we hope you to have a whole experience in Korea. We’ll strive to deliver exciting social programs. Visit our Gallery, Instagram, Twitter, and Facebook to check out the recent social programs. Discover Korea with Rolling Korea! We don’t usually have classes on Wednesday and Weekend, but from time to time, we check events that you might enjoy. 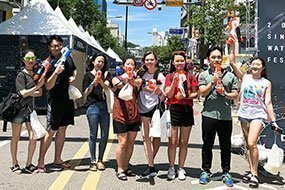 Students had a blast shooting each other at Shinchon water gun festival. None of us expected to enjoy Temple Stay. Monks taught us wisdom and how to deal with daily stress. We greet new students every Monday. Monday welcome lunch is an ice-breaking time to get to know each other. Genuine Korean restaurants are nearby the school. 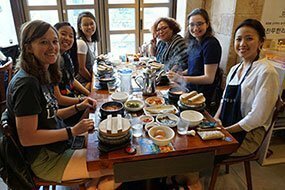 Come and chat with new friends while having yummy Korean food. Oh, and don't worry about spicy Korean food. We have mild, tasty dish as well. As you may know, Korea has a long history. In July, we went to the national museum of Korea and Gyungbokgung Palace. The former one is great to check the glimpse of Korean history, and the latter one for architecture. We are planning more of visiting historic site social programs in the near future. Many students love K-pop. For those who love K-pop, join our K-pop tour to Gangnam and a K-pop live show. 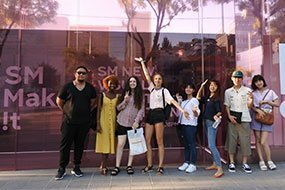 Take pictures with K-pop dolls and look around SM and JYP entertainment building on K-pop tour to Gangnam. If you are a true K-pop fan, don't miss an opportunity to the live K-pop Show(limited tickets).